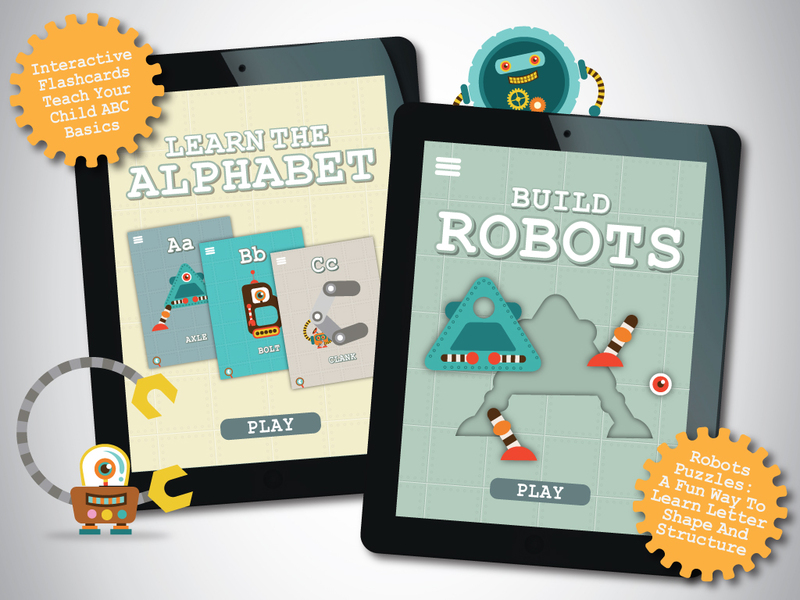 Alphabots is a fun and intuitive educational app that will aid your child in learning the alphabet and developing language and cognitive skills. 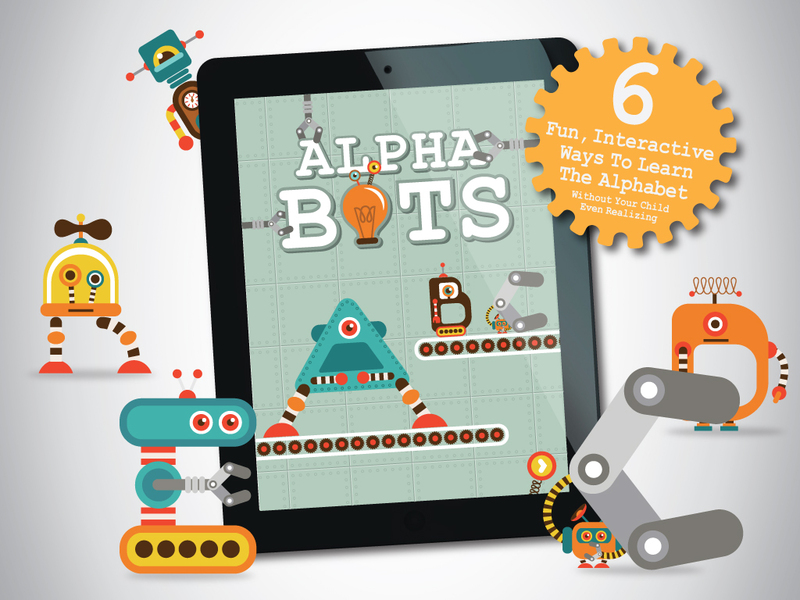 Alphabots provides a fun learning environment that engages the child with tried and tested learning techniques. 6 activities. Each activity has 26 unique and delightfully fun animations. • LEARN: ABC Flashcards to get your child started recognizing letters and learning the Alphabet. • FIND: Letter identification game helps to test your child’s ABC knowledge. Multiple letters are shown and the voiceover asks your child to find a specific letter. 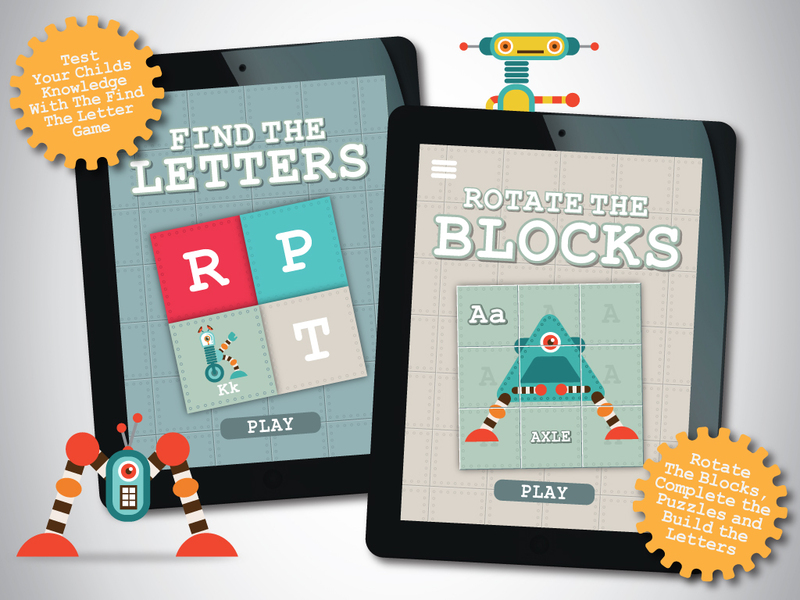 • SLIDE: Slide the pieces to create robot letter characters. This game helps children developing effective problem solving skill. 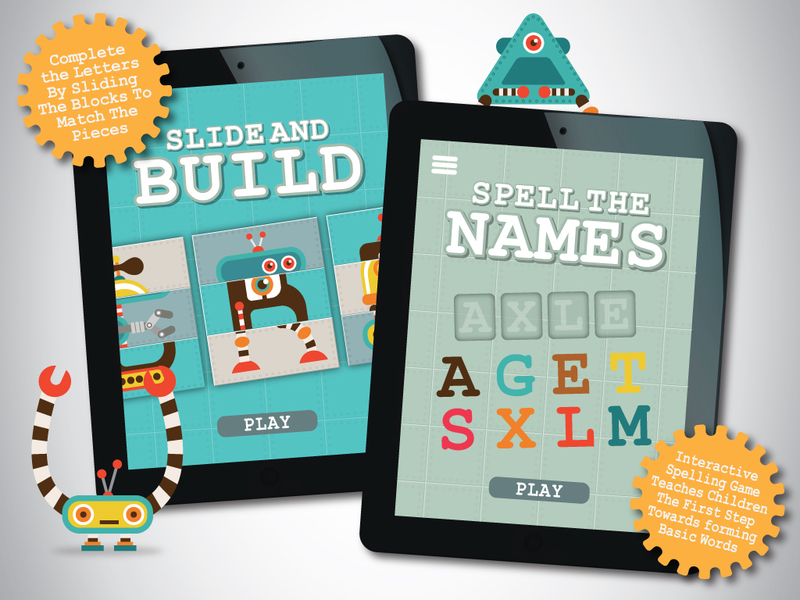 • SPELL: Spelling game introduces your child to the basics of word creation using letters. • Kid are awarded different numbers of stars depending on how well they perform a task, helping a child learn to improve.